Safety Fest TN 2019 Opening Session! 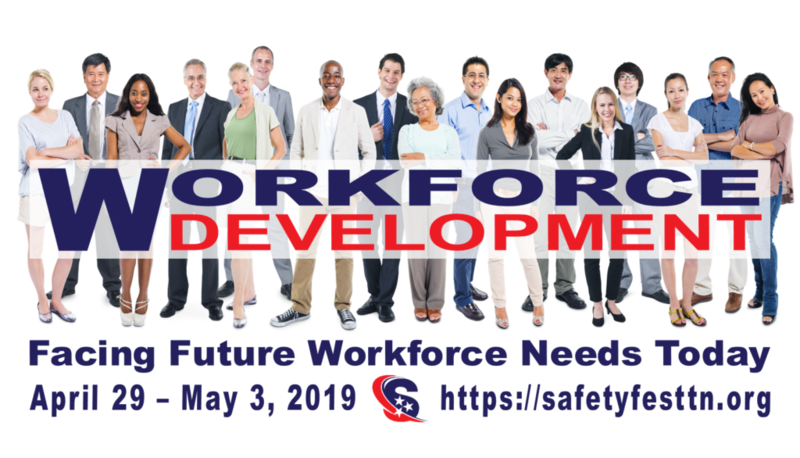 Kicking off Safety Fest TN 2019 at 8:30 a.m. on April 30 is our annual Community Safety Forum in the Wamp Auditorium, New Hope Center. The forum’s focus is Facing Future Workforce Needs Today. Dr. Jeff McCord, Commissioner of Labor and Workforce Development, State of Tennessee, will deliver a keynote address followed by a panel representing a cross-section of some of the region’s most influential institutions. They will discuss the challenges associated with attracting, hiring, and retaining the brightest and best to our region while exploring approaches they are implementing to meet those challenges. The moderator will be Ms. Melody C. Bell, Associate Deputy Assistant Secretary Resource Management, U.S. Department of Energy, Washington, D.C. The panel will adjourn promptly at 10:55 am. Amy Wilson, Deputy Y-12 Site Manager, Consolidated Nuclear Security, LLC (CNS) will then welcome everybody to the foyer of New Hope Center to celebrate Safety Fest TN 2019 with the CNS-Community Safety Lunch and the opening of the 8th annual Safety Expo. For more information and to register to attend, visit the Safety Fest TN website: https://safetyfesttn.org. Safety Fest TN 2019 will be held April 29 – May 3, 2019. It is a week of over 130 free safety classes, sessions, demonstrations, a Safety Expo, a Community Safety Forum – all free of charge to everyone who registers. Registration is required to ensure there is enough space. How does Safety Fest TN pull off a week of free safety training? Safety Fest TN is made possible through the generous support of Partners, Sponsors and Providers (see 2018’s Everybody graphic below). Last year, 105 organizations just like yours provided sponsorships and resources. Together, they presented 110 free safety classes, sessions, and demonstrations at 8 facilities in Oak Ridge and Knoxville, Tennessee. The Safety Fest TN 2018 event by the numbers. For more information visit the secure Safety Fest TN website: https://safetyfesttn.org. Please follow Safety Fest TN on Facebook, Twitter or LinkedIn!